The Classical Ballet training system is comprehensive and beautiful. 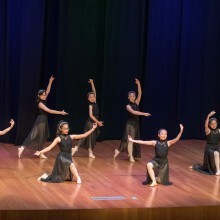 It was created by Examiners of ATOD, who are also teachers and graduates of The Australian Ballet School. Ballet is a graceful dance form that emphasises on precise techniques, discipline and performance. It trains students on their flexibility, body control, spacial awareness and coordination.